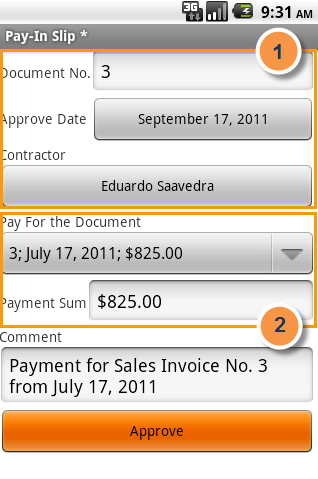 Number linked document, the date and amount of payment. Clicking on the arrow opens a list of unpaid Sales Invoices. You can override this cash receipt for payment of any unpaid invoice. The amount paid cash this Order.